SKU: B00M0ETE8S. Category: Yoga Mats. Tag: Yoga Mats. If you need a comfortable surface for Pilates, Yoga or other floor exercises, this high-density foam mat is the solution. Unlike our competitors, our mat measures 15 mm thick, which is almost 3/4 Inch. The mat’s ridged texture creates a cooling, non-stick, moisture-resistant surface so you can work out with confidence. When not in use, each mat is easily rolled for storage. Best of all, the carrying handle makes it convenient to transport from home to the gym or yoga studio. This mat is great for absorbing impact, so it’s a great source of body support and alignment during a workout. The non-slip bottom grips the floor, helping to prevent injuries. 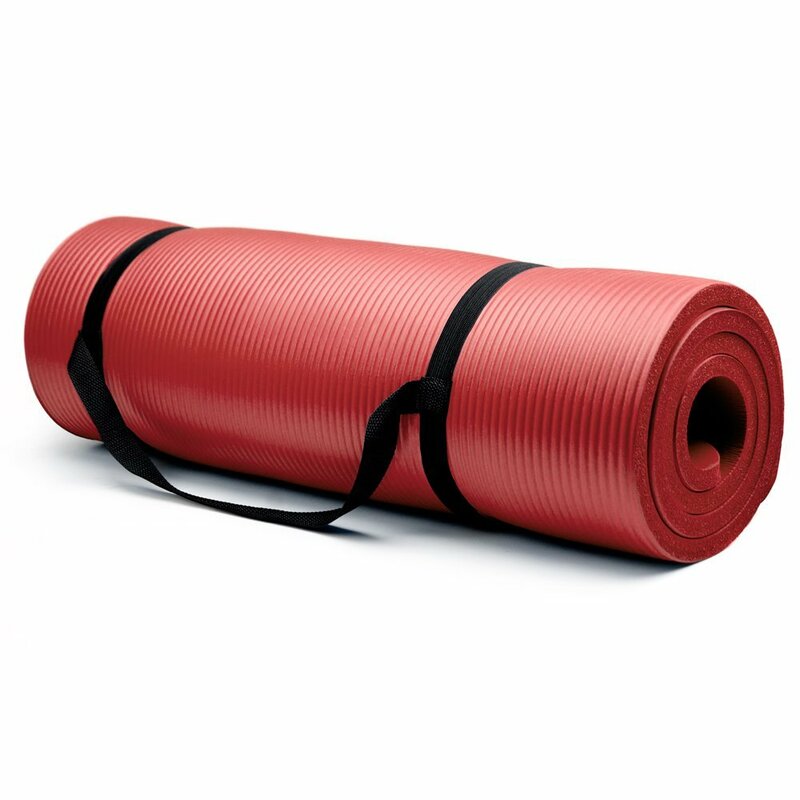 Perfect for gyms, schools, exercise classes and yoga studios, this ultra-thick foam mat can also serve as a sleeping pallet for camping trips or day care facilities. Available colors include black, red, blue and pink. Made using the highest quality materials. Designed to be safe and unique. High-density foam mat measures 15 mm (almost 3/4 Inch) thick. Perfect for Pilates, Yoga and other floor exercises. Ridged texture creates a non-stick, moisture-resistant surface for a comfortable workout. Mat measures 72 Inch long and 24 Inch wide. Carrying handle allows for convenient transportation, no-slip bottom helps prevent injury.